The world is full of big problems, urgent social issues in need of a solution. It’s also full of great ideas to solve them. But not everyone with a credit card and Internet access who wants to support change can tell the difference between something that will actually work, and something that won’t have much of a measurable, lasting effect. Crowdfunding to help find a way forward in these areas isn’t a new idea, but stringently curating how those crowd-funds are used, and by whom, just might be. Openfire is crowdfunding for people with expertise to pull off big ideas that create long-term social good. The platform requires capital-efficient, scalable, ambitious ideas and plans that address really big problems and can be broken up into multiple, actionable phases by very credible project creators. Starting Big. Telling Stories with Technology. Timing the platform’s public launch with SXSW this month, openfire is getting ambitious right away. One of the first projects that will be featured as a launch partner for the platform is Urbsly, an attempt to aggregate data about seed varieties (and eventually genetic information) that could help gardeners and farmers around the world who currently are forced to rely on Monsanto exclusively. The Python-hacking mastermind of this project, and smart people like him, are the key ingredient here. Most of us hear about big problems and wish we could do something to influence them, but don’t really know how to make lasting change. 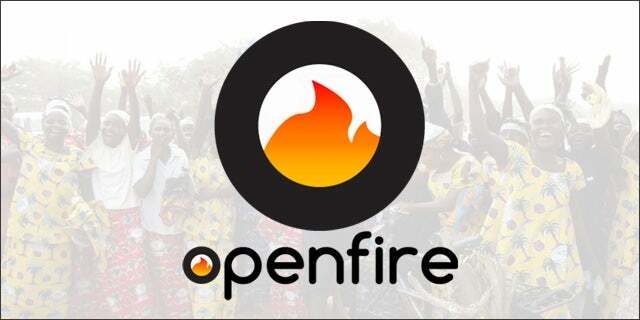 According to David Anderson, openfire’s founder, creating socially valuable, long-term solutions is about empowering and telling stories for the technical people who have the influence and expertise, but not the extroversion or the capital to do it alone. Crowdfunding is clearly the minimum viable product for this Vegas-based team, but it may not be all the openfire platform offers in the long-term. Anderson is also considering allowing people to donate hours of help in areas like marketing or legal expertise, to donate lines of code, and to integrate angel investor matching funds. openfire was a showcased startup at our Tech Cocktail Week mixer in February. Guest author Kaitlynn Hendricks is a systems builder and a solution-focused, broad-scale economist. She works as a business developer in Washington, DC, where she spends her days pursuing, supporting, and telling stories about ventures in development and stewardship of globally conscious, locally focused networks of human, physical, and liquid capital. She enjoys timeless and occasionally avant-garde fashion, reading things that are just a little bit too complicated to really understand, relentlessly challenging the status quo, and exploring the city on her vespa. You can follow her on Twitter @sophistikaty.